2. I discovered that my kneelchair (knee scooter thingy that I use to zip about the house instead of crutches) doesn’t fit into our side return. Disaster! 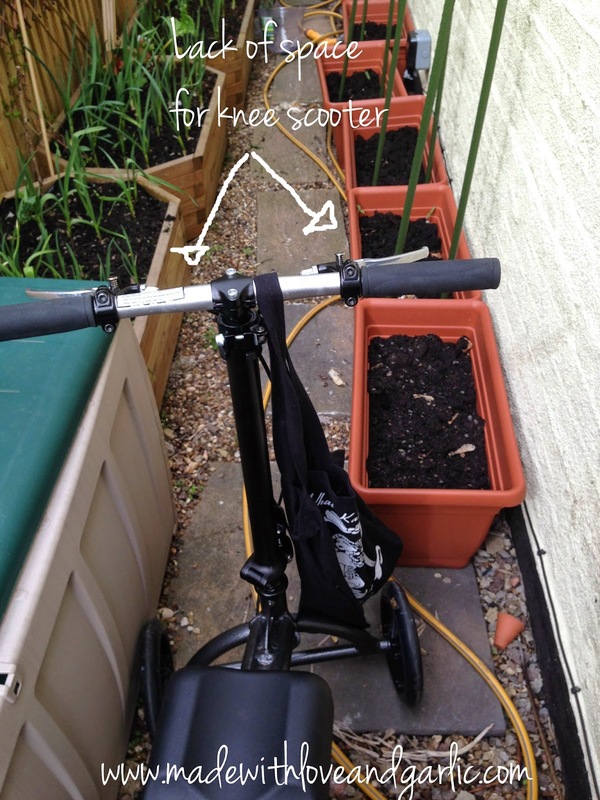 So I sort of manouvered the knee scooter as close to the two big raised beds where I’m growing garlic as I could and hung / leaned precariously off of it whilst I nabbed the biggest weeds before admitting defeat. Help! What am I going to do? 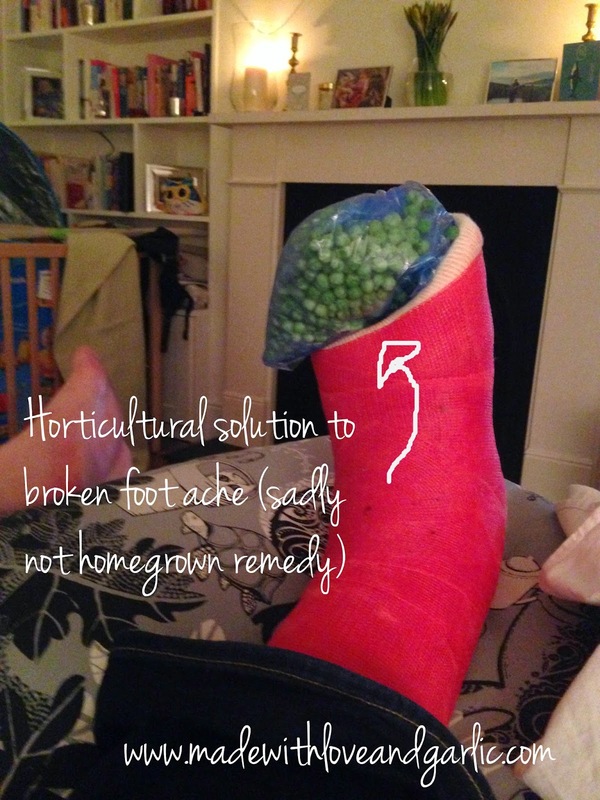 Not only has my stupid foot meant I had to miss the Edible gardening show and that I’ll be in a cast at the Chelsea Flower Show, it’s also going to mean that I’ll be in a cast until late May at the absolute earliest. Which means I need a knee scooter. Which means my whole side return is inaccesible! Argh! Stupid kerb. Stupid foot. 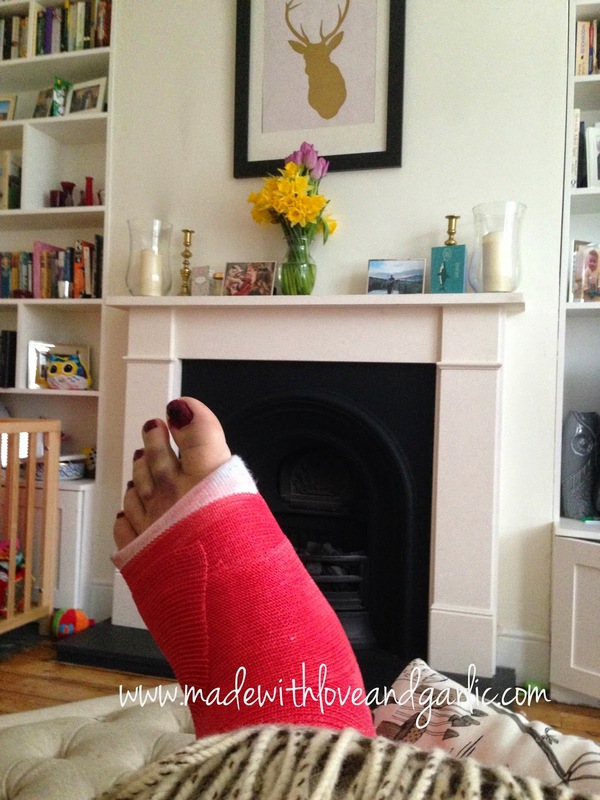 Stupid lisfranc injury!